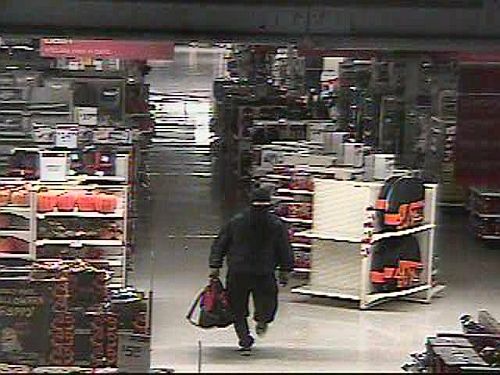 Lebanon Police are seeking information on a burglary to K-Mart just after 3:00 am on Tuesday. Police say after an investigation it was discovered jewelry was taken. The suspect was captured on surveillance video and is described as 6 foot tall, wearing black clothing, black ski mask and carrying a red duffle bag. Police ask anyone who may have seen anything or has any further information to call the Lebanon Police Department at (603) 448-1212.